I am so happy to, once again, be a part of the Product Swap. This time around, I had the pleasure of reviewing a wonderful product from the very talented Lyndsey Kuster, author of A Year of Many Firsts Blog. And, a close blogging buddy of mine. 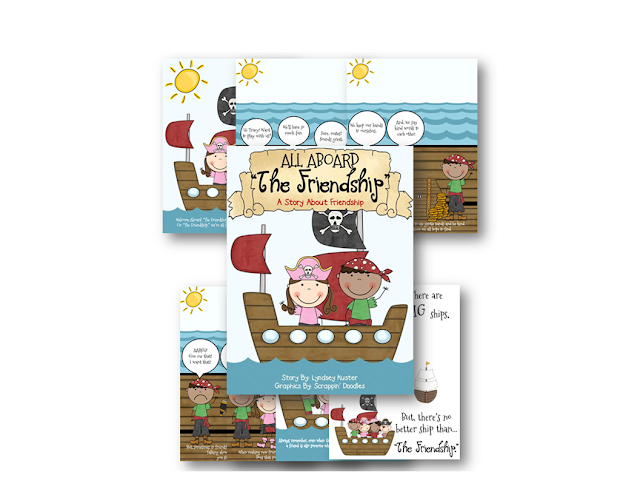 I reviewed Lyndsey's All Aboard "The Friendship", which contains tons of fun, meaningful, friendship building activities. 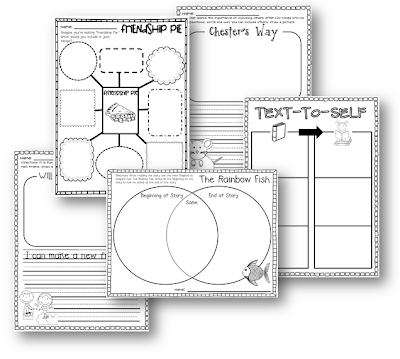 As a writing teacher, I am very excited to complete these activities with my students. I missed out on doing these activities at the beginning of the year, but, I will definitely find the right time to do them during this school year. To begin the unit, there is a really cute, original, friendship story to read. 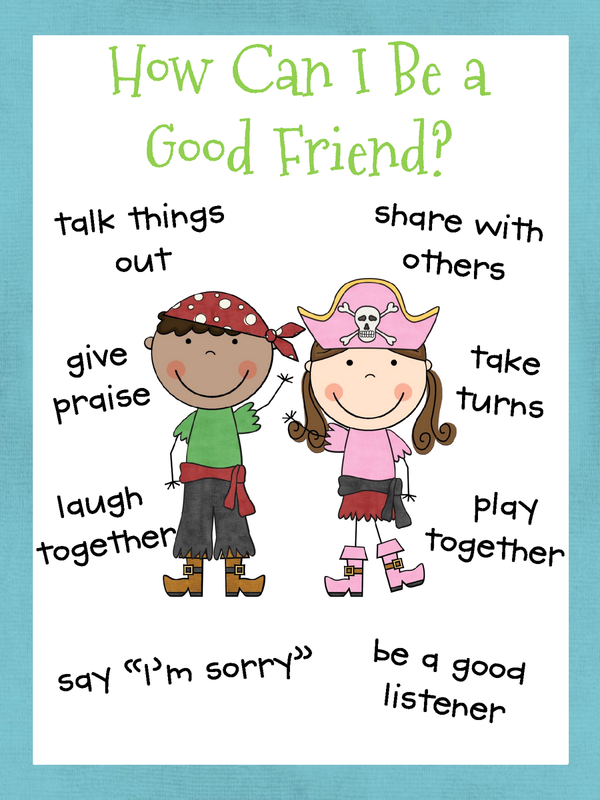 It teaches our students what it means to be a good friend. I know this will be a favorite read all year long. 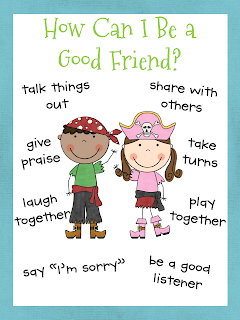 Then, there are several friendship activities, which can be done as a whole class, with a partner, or independently. 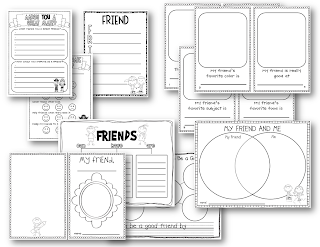 There's a friend self-assessment, acrostic poem, Venn diagram, writing web, tree map, and some different books the children can make. 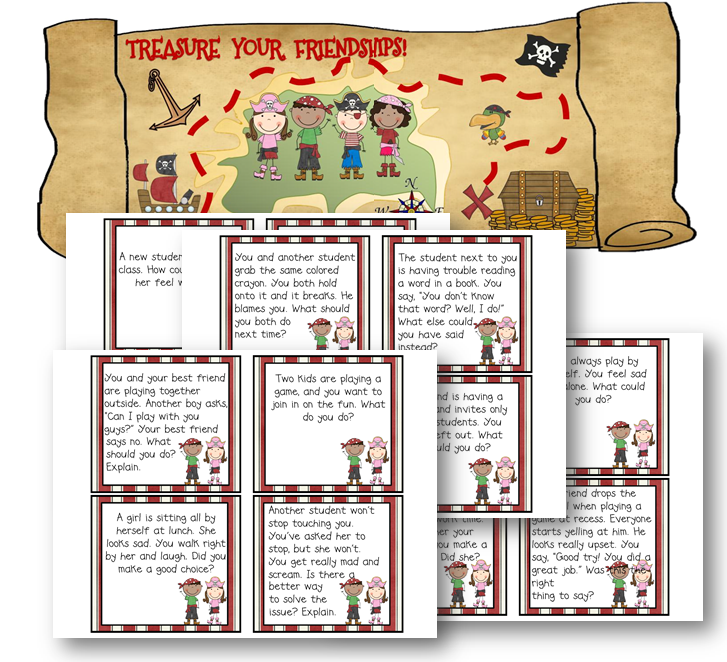 All fun activities that will, not only help the children realize how important it is to be a good friend, but, will also help strengthen their writing, reading, grammar, and critical thinking skills. I have tons of visual displays in my classroom because I feel it's important for the children to be able to refer to them whenever necessary. This pack includes the cutest How Can I Be a Good Friend? poster. It's hanging in my classroom and when my students encounter a problem, they refer to this poster. Inevitably, it always helps them work things out. It comes with a step-by-step guide on what to do if you encounter a problem with a friend. The visuals are incredibly helpful to my students. 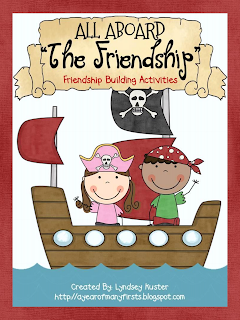 Lyndsey also includes the titles to many great books on friendship that complement this unit perfectly. There are many marvelous graphic organizers to go along with the stories, as well. The last activity I would like to highlight, is the exciting board game, that gets students thinking about real-life friendship situations. The game board is brilliant and the questions are very thought-provoking. 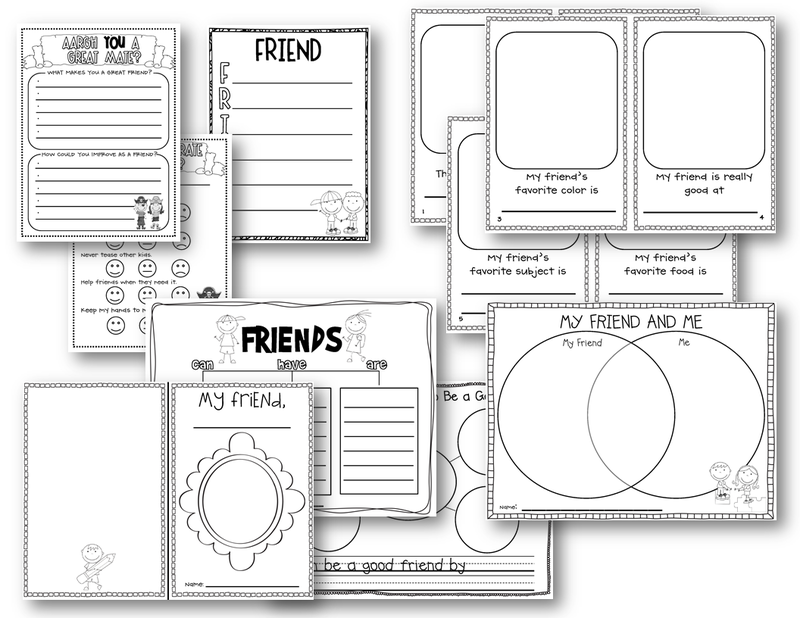 In conclusion, these activities will surely help my students build strong friendships, as well as, provide the support they need to learn how to face and solve problems in a peaceful and positive manner. The writing activities are meaningful and full of rigor. Everything in this unit is pleasing to the eye and will complement any classroom. It's definitely a must have for every teacher who wants a peaceful learning environment, filled with children who know how to face difficult and uncomfortable situations appropriately. I believe I can say, with 100% certainty, that this is something we all want. Here's more great news! 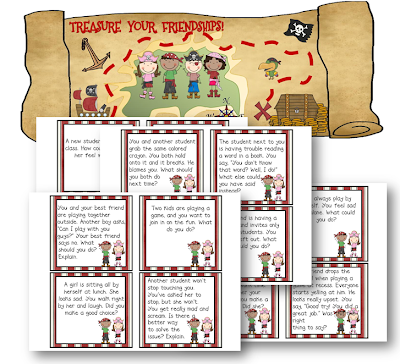 Lyndey's Friendship pack is on sale right now! It's going to be 20% off until 7:00 PM EST, Sunday, October 7. Yay! 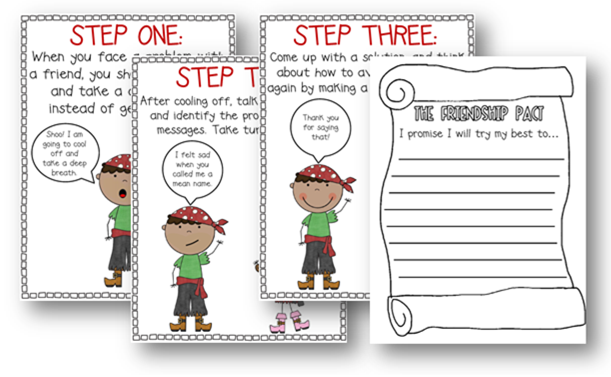 Thanks so much, Lyndsey, for creating these exciting and thought-provoking writing activities! 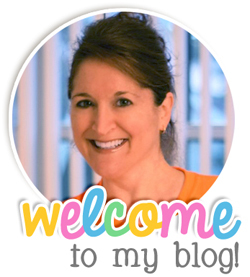 Please stop by Lyndsey's blog and store, to check out more of her creative ideas and teaching products. Be sure to tell her I sent you! I hope you all enjoy the Product Swap posts today. I know I will! THANKS SO MUCH, Lori! You are amazing. I love your Character Traits packet. My kiddos will love it, too. Thank you!!!!!! This is a great review, Lori! You showcased it well. I'm going to need to learn how to create collages like the ones you showed. Did you learn through a tutorial? EEEEK I have to add these to my cart!! Thanks for joining for the swap :) I hope you'll sign up for the next!